Param is the 21-year-old founder & CEO of Hatch, a SaaS product that lets anyone build a mobile-app for anything- without code, for free. ​He previously founded Ecoviate- a research and development company focusing on redefining consumer sustainability. Since the age of 13, he has innovated bio-fuel preparation, designed highly effective bioreactors, created a device that mitigates motor vehicle emissions (currently patented), and many more. 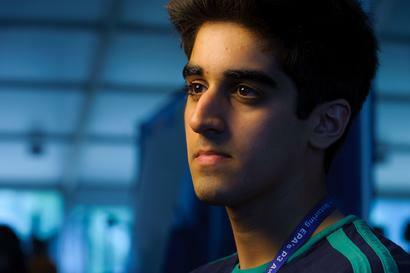 Param was named to the 2012 & 2013 Forbes ‘30 Under 30: Energy’ list for his work in green-technologies. Aside from dropping out of Vanderbilt University, studying Mechanical Engineering & Economics, Param also serves as a board member to the USASEF (USA Science & Engineering Festival) and Spark Clean Energy to facilitate STEM education around the country. 2x Forbes "30 Under 30"
Popular Science "Top High School Inventor"
He will occasionally put aside his awkwardness and speak in public.